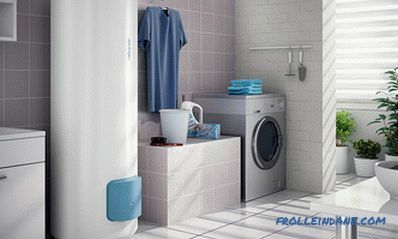 The efficiency of storage water heaters is confirmed by the volume of their sales and production. 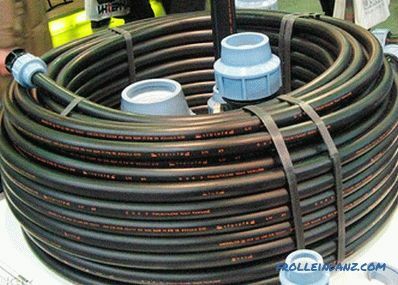 This is one of the best solutions to provide the house with hot water and not to depend on the city boiler room. At the same time, it is very difficult to determine which storage water heater is better for the company, because each of them strives to outperform the competitors and manufactures equipment using its own technical expertise, which improves its characteristics. To simplify the selection process, we reviewed the most popular manufacturers of domestic-made water heaters (for a private house) and the highest level (increased power and volume). The production of household water heaters is not inferior in scale and complexity to the production of professional devices. 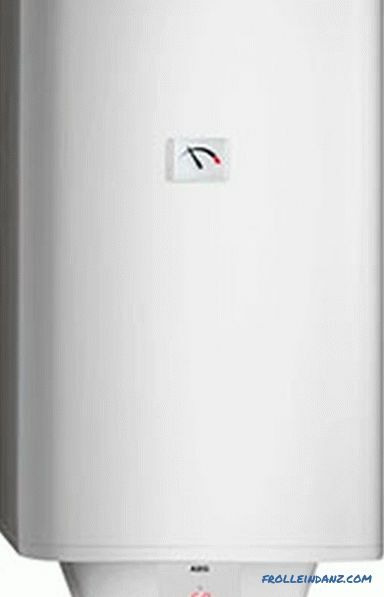 Just here, manufacturers of storage water heaters make equipment that is supposed to be used in conditions of constrained space, while at the same time ensuring the continuous supply of hot water for the needs of the house. 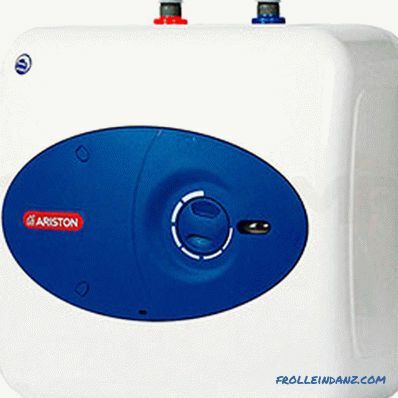 AEG is one of the few old-timers in the water heater market. 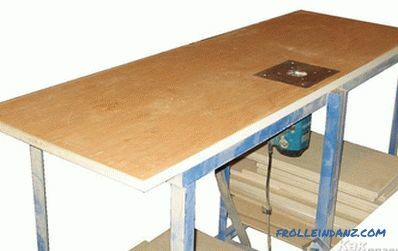 It was registered since 1887 and in the process of development mastered the manufacture of a wide variety of equipment. Now it is the largest manufacturer with manufacturing plants around the world, and a separate division, AEG Haustechnik, is responsible for the manufacture of domestic water heaters. Standard devices with a 30-200 l tank and stainless steel heating elements. For wall mounting in a vertical position. 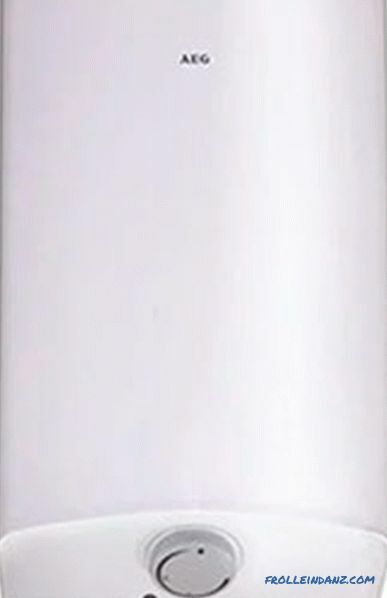 The same standard, but of reduced volume — a 10-15 liter tank is used. A distinctive feature is the use of "dry" heating elements, three modes of operation - from energy saving to accelerated heating and a complete set of LED-sensitive touch displays. 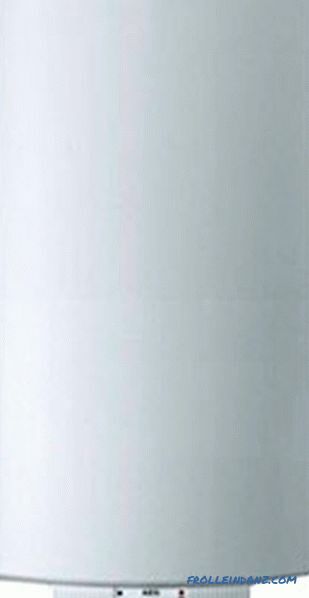 Spaciousness of a tank is 30-150 l.
Same as previous series, plus additional enameling of heating elements and the possibility of horizontal positioning. High-power series with the ability to connect heating elements of 2, 4 or 6 kW to 230 and 400 Volt mains. Working tank 30-150 l, the ability to set the water temperature from 12 to 80 ° C.
Differences from the Basic series are copper heating elements and temperature adjustment range from 35 to 82 ° C.
Floor-mounted water heaters of increased volume - from 200 to 400 liters. The STM, EWH Mini and DEM C series of water heaters are produced in Germany, and all the others in Slovakia. 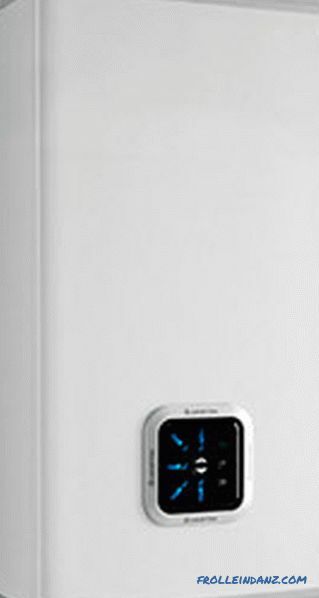 The many years of experience of the Electrolux development engineers is reflected in the quality and diversity of the functionality of the water heaters produced. One of the main dangers - overheating of water, is excluded by the presence of safety valves, which relieve excess pressure when it occurs. The fight against another "scourge" of heating devices - the occurrence of scale and corrosion of the tank is made using copper heating elements with nickel-coated and medical steel. Standard models with a working volume of 50-100 liters. TENY on 1,5 kW, a guarantee for the equipment of 5 years are applied. From the basic models, the series differs in a flat tank of a reduced size - from 30 to 80 liters. 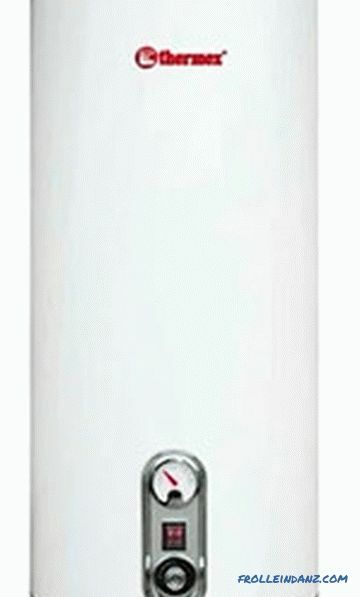 Water heater models with a choice of operating modes - "economy" and "full power" - two "dry" heating elements can be included separately from each other. The working tank is 30-150, and the model R has 200 liters, with a power of 1.6-2.4 kW. 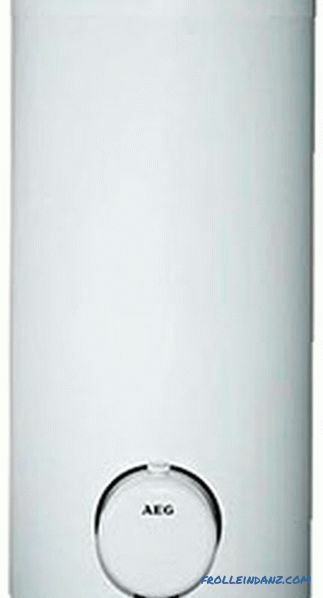 EWH Centurio V / H.
Water heaters with the possibility of horizontal and vertical installation. The flat tank allows installation in small niches, and nickel-plated copper heating elements are an increased service life of devices with a warranty period of 7 years. Information about the current mode of operation is displayed on the LED display. A variety of technical and design solutions will allow you to find a decent model even for the most demanding customer. 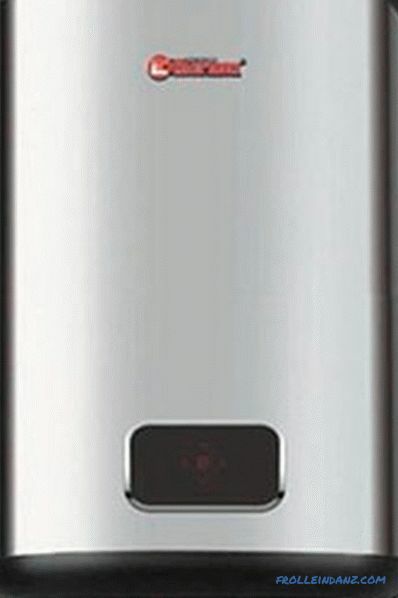 Water heating technology is not just one of the company's priority areas of development.Since the very beginning of the trademark in 1930, it has worked exclusively in this niche and rightfully bears the title of professional and one of the trendsetters in the field of autonomous heating. Flat working tank for 30-100 liters, two heating elements with a total capacity of 2.5 kW. 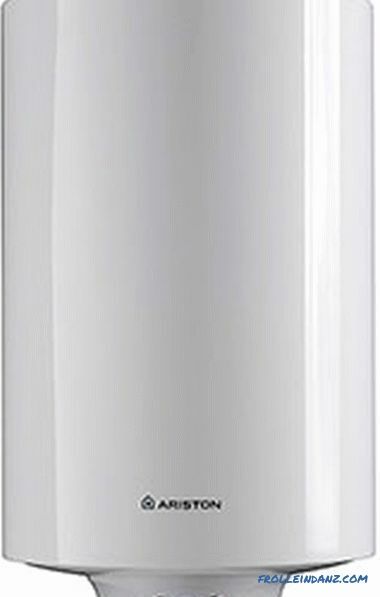 Compact models of 10-30 liters for installation above / below the sink, heating elements of 1.5 kW. 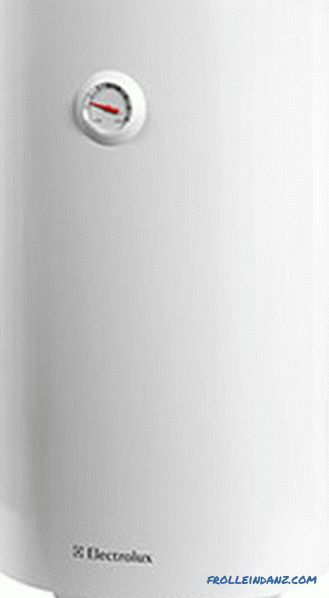 Anti-bacterial tank with a volume of 50-100 liters, heating elements with a capacity of 1.5-1.8 kW. 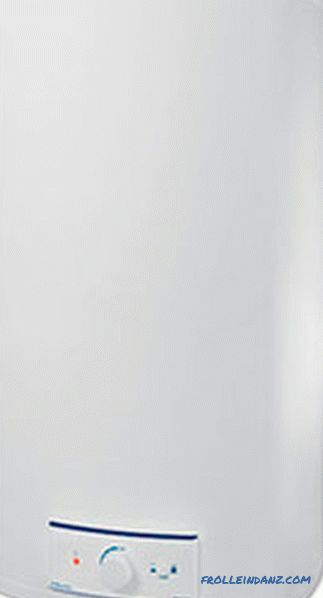 Slim series with reduced flat tank. It differs from the previous series by the presence of an electronic thermostat. ABS Velis Power / Inox Power. Basic models: dual electric heaters with separate switching, electronic control, tank with a capacity of 30-100 liters. Stainless steel is used in the Velis series, and a silver-plated coating is added to Inox. ABS Velis Plus / Inox Plus Power. "Reprinting" of the previous series on the updated production lines. 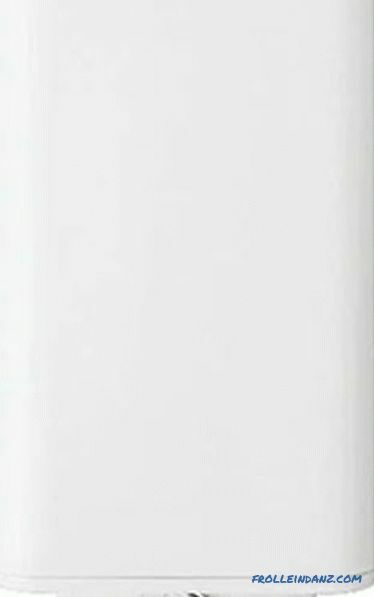 Platinum Eco / Platinum Eco Slim. Heater for semi-industrial volumes. Tank with a titanium coating with a capacity of 200 to 500 liters. 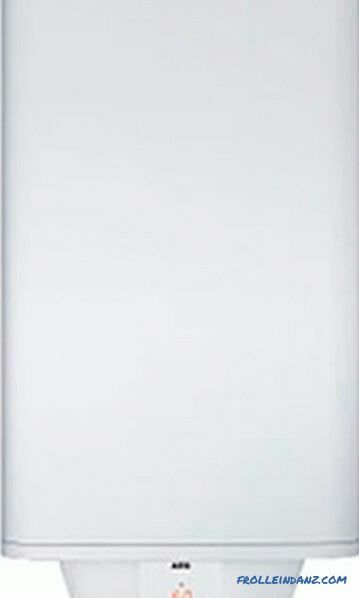 Power of heating elements from 2.6 to 6 kW, the ability to connect to a three-phase network. The long life of the heating tanks is ensured by the use of Micro Plazma Tig welding technology, which eliminates the appearance of air bubbles in the weld and the development of corrosion. 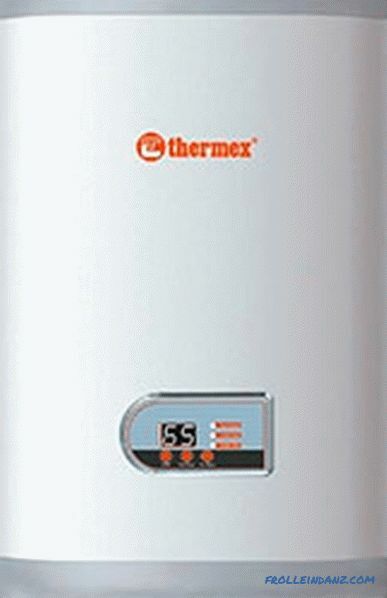 All water heaters manufactured by Timberk are built to withstand heavy use. For this purpose, not only reliable materials and components (stainless steel for the tank and magnesium anodes) are used, but also innovative technologies for which the company is one of the leaders in its field. 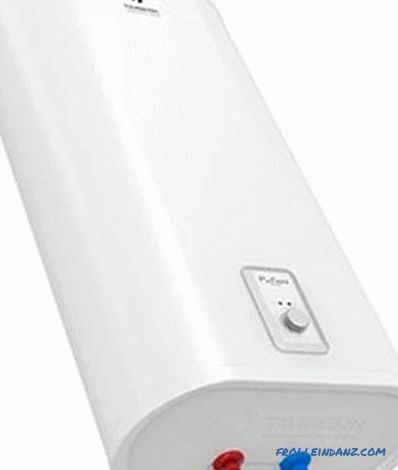 The Timberk water heater “chip” is a microprocessor control system that monitors for leaks and prevents the appearance of excess pressure in the tank. You can learn about the features of the models from the marking: the shape of the case is F (flat) and R (round), the material is S (stainless steel) and E (enamel). Series with a thin body (d = 29 cm). The working volume is 30, 40 and 50 liters, the installation is only vertical. FS1 / FS2 / FS3 / FS5 / FS6. 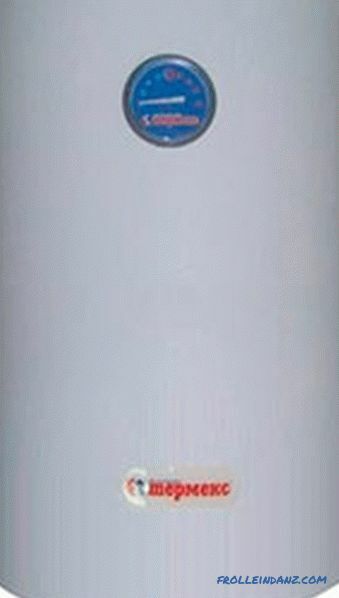 Flat-shaped tank for 30, 50, 80 and 100 liters, heating elements for 2.5 kW, mounted in a vertical and horizontal position. The Timberk water heater protection system may be called 3D Logic or 3L SPS, but there is no fundamental difference between them - the buyer in any case gets the maximum reliability of the purchased equipment. Since the middle of the twentieth century, the design office and research laboratory of the company have been exclusively engaged in the development and improvement of water heaters. The result of the work is impressive - the company supplies its products to 160 countries, invariably occupying one of the leading positions on the market. One of the Achilles' heels of water heaters is the corrosion of tanks in the places where the steel sheets are welded - the company's engineers use an innovative method of their own design. This technology, codenamed G5, is laser metal welding in a vacuum that avoids air or other impurities from entering the joint. 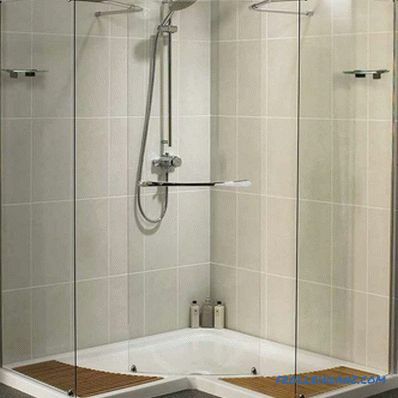 Also used tanks with a coating of bioglass porcelain, in addition to the appearance of corrosion, preventing the appearance of microorganisms. 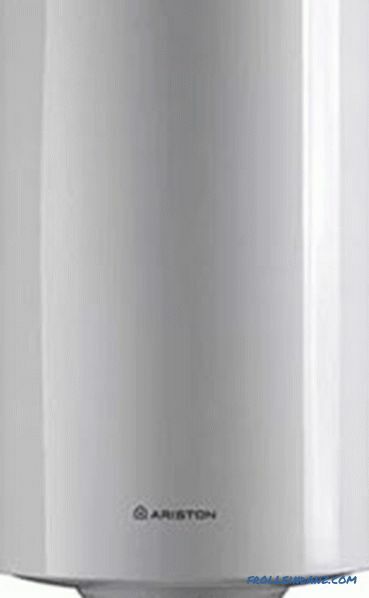 Classic cylindrical water heaters. The size of tanks from 5 to 150 liters, with wall and floor installation. 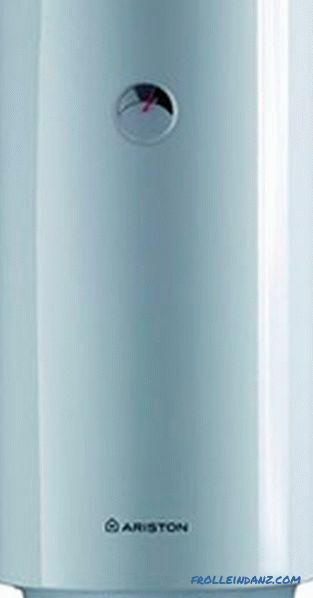 Ultra-thin water heaters (d = 270 mm) with vertical mounting from 30 to 50 liters. 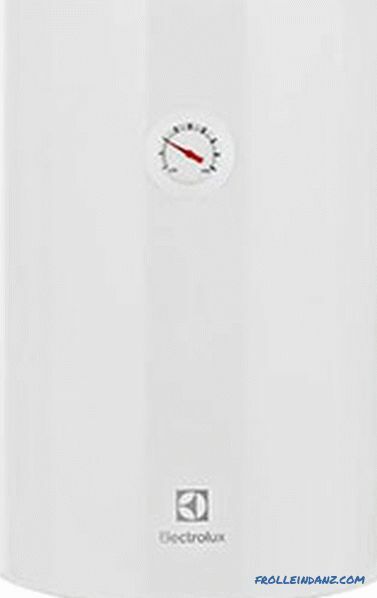 Flat-shaped water heaters with a capacity of 30-100 liters, with microprocessor control and display of operating modes on the display. The material of the heating tanks is stainless steel. The entire internal filling is taken from the Flat Plus models, but the external design is made of polished stainless steel. 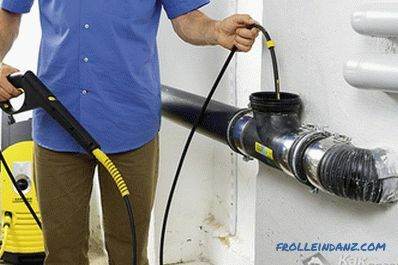 A separate line of heaters in which the inner walls of the heating tanks are covered with biofibres.The Champion line is made in a steel case with a working capacity of 50-300 liters, Slim are made in a plastic case - they are designed for 10-30 liters. 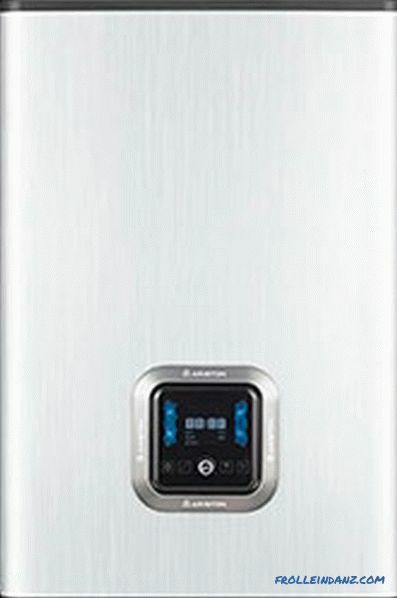 In terms of characteristics and dimensions, this is the same Champion, but the outer case is rectangular in shape, and the Turbo Boiler function is added to the electronic filling, which allows to significantly speed up the process of water heating. To save energy, many models use two independent heating elements — if you do not need the fastest possible heating now, then only one of them works. 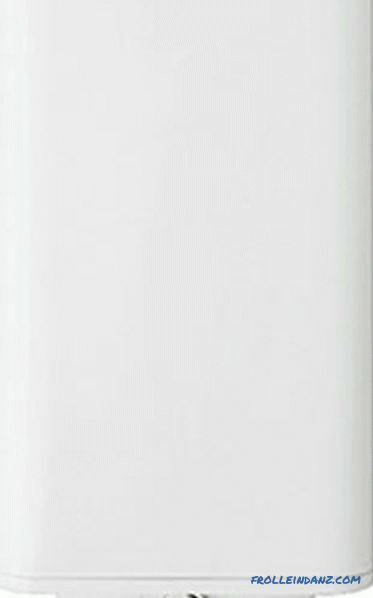 The management of water heaters is simplified as much as possible - wherever possible, developers adhere to the principle of "nothing extra". Autonomy in the supply of hot water and heating is needed not only for private houses and apartments. Owners of large and super-large facilities, such as hotels, stadiums, airports, and atk further, are also thinking about this. To provide them with hot water, we need devices that are much larger than household appliances in size and size, which in turn requires the use of non-standard solutions. The volume of the heating tank is up to 10,000 liters. 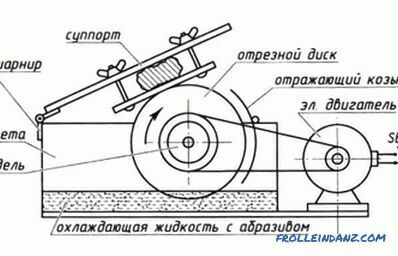 The difficulty here is not even to create a tank of this size - with dimensions of the order of 2x2x2.5 meters, it is necessary to ensure at least a uniform heating of the water, plus the maximum possible energy savings (and this is not all the tasks that need to be solved). Production of stainless steel heating tanks without the use of anti-corrosion coatings. This is achieved through the use of proprietary plasma arc welding technology, which makes it possible to dispense with fluxes or similar additives, which over time can provoke the appearance of corrosion. The longest guaranteed life. The cost of equipment of this size is quite high, so the longer the warranty, the quieter the buyer. Through the use of its own technology, OSO provides its 10 year warranty for its heaters. A separate brand advantage is experience - for more than three decades, the main tasks of the company's engineers have been the development and installation of super-large heating devices. OSO water heaters are already installed in residential and office buildings, cargo and passenger ships, oil rigs in the sea and other facilities. With so many developments, a sufficient number of solutions have already been accumulated, which will significantly speed up the development and implementation of new ones, if the need arises. The first electric boiler, which had no analogs in heating rate at that time, the company’s founder developed and implemented into production in 1924. This gave rise to the development of the company as one of the leaders in the production of heating appliances, first household class, and since 1968 Stiebel Eltron has become one of the largest authorities in the manufacture of professional heating equipment. At that time, the company had more than ten years of experience in the production of non-standard equipment, including boilers and coffee machines for passenger aircraft. The company is present in the markets of about two dozen European countries, occupying about 3,000 people in the production and service of its products. One of the large-scale projects whose customers are domestic companies is the reconstruction of the water-heating systems of the Luzhniki stadium in the capital and the Yemelyanovo airport in Krasnodar. From the very beginning of its development, the company sought to more accurately guess the needs of customers, for which demand is constantly monitored among existing and potential customers. Also, Stiebel Eltron closely monitors the quality of products at all stages of production, thereby providing a guarantee for their equipment from 3 to 10 years. A selection of manufacturers was carried out on the basis of reviews, opinions and opinions of users posted on various resources on the Internet. All information is taken from public sources. We do not cooperate with manufacturers and trademarks and do not call for the purchase of certain products. The article is informative.